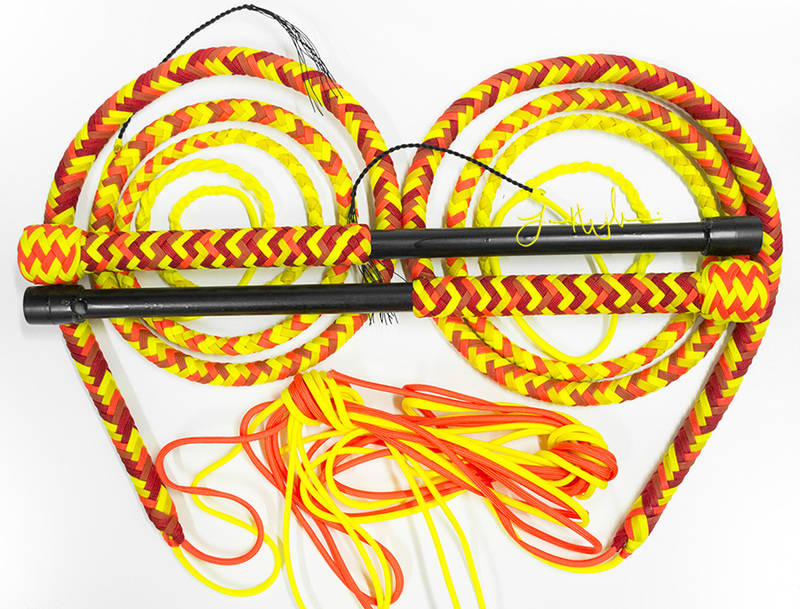 This matched pair of PH Whips was made for Carl using Scarlet, Black, and Neon Yellow paracord. Check out our MidWestWhips Nylon Whips page for more information on how to order your own custom Performance Hybrid whips, or look at our Whips In Stock page to see if we have any already in stock at the moment. This Performance Hybrid Nylon Whip was made for Adam with Scarlet and Black paracord.